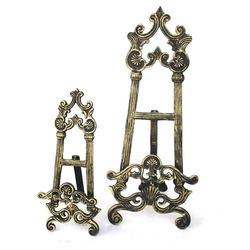 Leading Manufacturer of worought iron easel, photo frame easel, metal plate easels, casted aluminum easels, iron easel stand and metal floor easel from Moradabad. Owing to our vast experience in this domain, we have been able to offer world-class Worought Iron Easel to our clients' end. We offer Photo Frame Easel to our valuable customers. 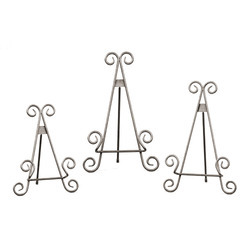 Manufactured from finest quality metal, these offered easels are commonly used for displaying photograph. Precisely designed in compliance with industry set standards, the offered easels are known for their attractive design, light weight, corrosion resistance, and trendy look. We deliver this easel within fixed time constraint, due to our vast and well connected distribution network. Owing to the rich experience and knowledge of this domain, we have been able to offer a wide range of elevated quality Metal Plate Easels. 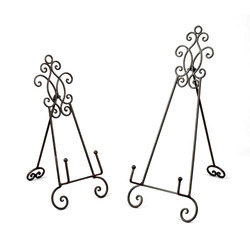 Commonly used in the household kitchen, the offered easels are upright supporting stand that is commonly used for efficient displaying of different plates. This tripod designed easels are available in various shapes and sizes that suit the requirements of the customers. 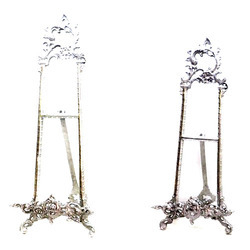 We are among the prominent manufacturers and exporter of a wide array of high quality Casted Aluminum Easels. The offered easels are precisely manufactured from fine grade aluminum that is sourced from trusted vendors. Available with us at highly reasonable market prices, the offered products are widely used to display various items. To ensure high standards of unmatched quality, the offered easels are manufactured using advanced machinery. 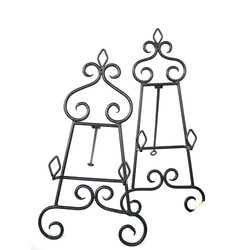 With the aid of latest machinery, we have been able to offer Iron Easel Stand to our valuable customers. 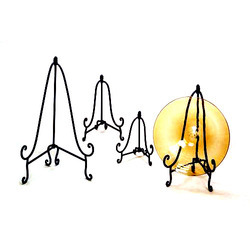 Manufactured from high grade iron, the offered stands are widely used for displaying various items such as trays and platters. Precisely designed in compliance with industry set standards, the offered stand are high in demand in the market for their resistance to corrosion and elegant designs. 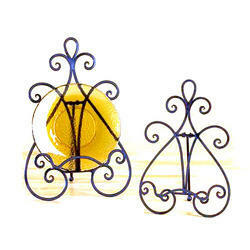 Looking for “Easel & Plate Stand”?